And here is her awesome cover!!! to keep the entire Afterlife alive. wouldn’t survive without her best friend, Fleishman. plans…including creating a new world of spirits without them in it. Motley Education has been aligned with Core Standards for grades 4-7. A guide will be available on the author’s website to download for FREE after the book’s release date. S.A. LARSEN is the author of Motley Education, the first book in a middle grade fantasy-adventure series. of Brass and Under A Brass Moon by Curiosity Quills Press. Look for her debut young adult novel, Marked Beauty, set for release in 2017.
four children, a playful pooch, and two kittens. on her Website & Blog. Five lucky winners will each receive a signed bookmark and assorted swag! Contest runs from 09/15/16 to 09/23/16. Winners will be chosen my random.com. 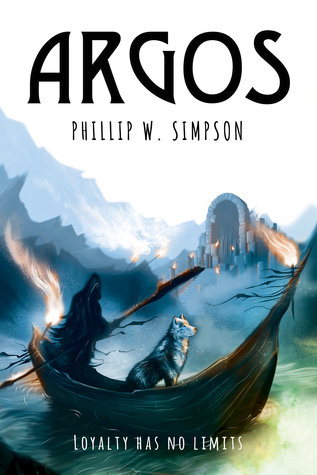 Today we’re lucky enough to host the amazing author Phillip W. Simpson on his Argos blog tour. Yippee!! Okay, I know. Calm down. But seriously. Yay!! And don’t forget to enter the giveaway later in this post! Raised from a pup by Greek hero, Odysseus, Argos has come to learn the true meaning of love and loyalty. But when Odysseus leaves for the Trojan War, little does Argos know it will be 20 years before he sees his master again. With Odysseus gone his wife, Penelope, and son, Telemachus, are easy prey for neighboring kings and the Gods themselves. But Argos was tasked to keep them safe until Odysseus returns and that is a promise he is determined to keep – whatever the cost. Told through his eyes, Argos recounts the story of his life – his pain, his joy, his triumphs and failures; his endurance in the face of hardships almost too great to believe. Above all else, Argos strives to do what is right – and to remain loyal to his King when all others have given up hope. To live long enough to see his beloved master one more time. This epic myth of love and loyalty proves that a dog really is man’s best friend. Can you share some of your manuscript playlist with us? 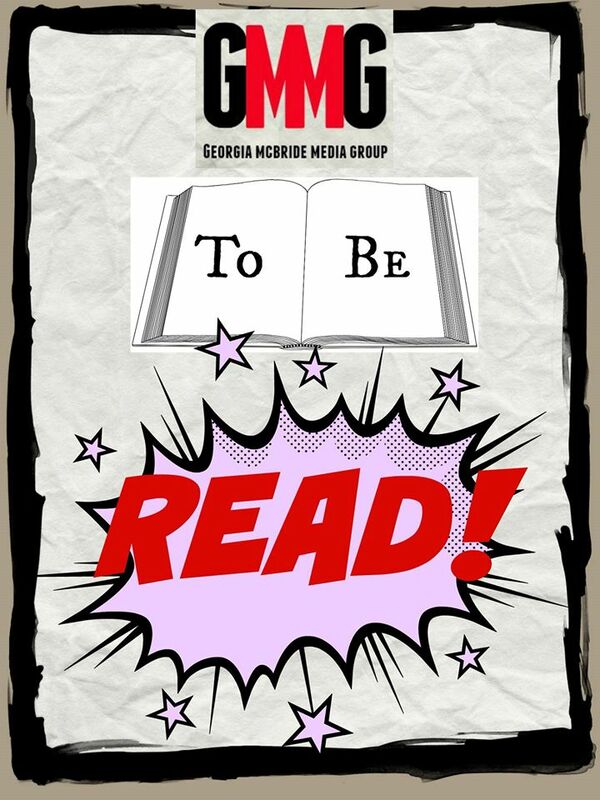 What were your favorite books as a middle schooler or teen and why? I was pretty lucky growing up. My parents were huge book lovers. My father collects books. He is a bit obsessed. Anyway, I could just pick whatever I wanted from the bookshelf. I’m a bit like that myself. I have a large collection of books and I want my son to cherry pick whatever books of mine he wants. • The Hobbit and the Lord of the Rings (obviously). These books got me into reading. I discovered a love of fantasy because of these books. Thank you, Tolkien. • Anything by Piers Anthony. A bit childish but I loved them at the time (probably because I was a child). • Anything by Julian May – Saga of the Exiles was magnificent. Such a complicated and believable world. • Anything by Stephen Donaldson – the Cronicles of Thomas Covenant the Unbeliever. Love the Bloodguard. Read the series as a middle schooler and although some of the content is inappropriate for that age, I loved it regardless. Actually, YA didn’t really exist when I was growing up. You read kids’ books and then progressed to adult books. I was such a voracious reader that I quickly exhausted what was considered ‘appropriate’ and just read what I felt like. • Anything by Jack Vance. And I do mean anything. He wrote over 50 books and I love every single one. I think I started with Lyonesse as a middle schooler and then read all his back catalogue. He is one of the greats. A true word smith. I love him. • The Dragonriders of Pern by Anne McCaffrey. Lots of other great books here but I particularly loved her dragons. The White Dragon was awesome. • Spellsinger by Alan Dean Foster. Rock and roll man! • Dune and all the sequels (Frank Herbert). Everything about this world is cool. The Sardukar, the Freemen, the Sand worms. • The Forever War by Joe Haldeman. Probably my favorite book of all time and I read this as a teen (I would not recommend this to a middle schooler). Wow, what a great list of reads! Thanks so much for being here today. I’m excited about your new book and can’t wait to read. Okay guys, I’ve already bought my copy, now go and get yours! Cause, you know, so cool, right? Phillip W. Simpson has written over 50 children’s books for both middle grade and young adult readers. He has a background in Ancient History and Archaeology, and has partially completed his doctorate in Archaeology. He lives in Auckland, New Zealand, with his wife Rose, their son, Jack and their two border terriers, Whiskey and Raffles. When not writing, he works as an elementary school teacher. enter to win a paperback copy of book 1, Serpentine!! I am so excited to share the Sacrifice cover with readers! and the tension and energy this cover conveys—it reflects the novel so well. I hope you enjoy Sacrifice! 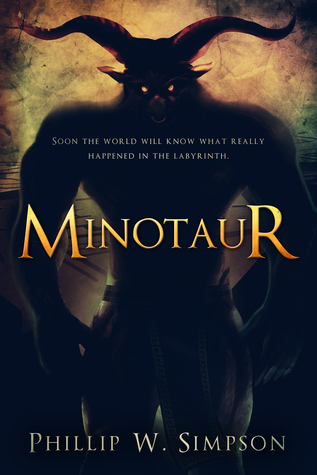 beneath the estate, she realizes that Master Hou is not all that he seems. more far-reaching then they could ever have fathomed. Energies,a multicultural YA dystopian anthology from Tu Books (October 2012). Cindy is also a Chinese brush painting student of over a decade. Visit her website. Join us in celebrating this new release from Month9Books! years before he sees his master again. With Odysseus gone his wife, Penelope, and son, Telemachus, are easy prey for neighboring kings and the Gods themselves. life – his pain, his joy, his triumphs and failures; his endurance in the face of hardships almost too great to believe. Skybright sneaked back into the Yuan manor through the unguarded side entrance, relieved that no one saw her along the way in the dim alley. Like all matriarchs, Lady Yuan was unconcerned with the goings on of her servants—as long as they performed their duties and kept out of trouble. Skybright always had, until today. The door panels to her small quarters were wide open, but the room was empty. She quickly changed into a silk tunic and trousers in sky blue, beaded at the collar and along the sleeve edges in silver, a mark of her mistress’s favor. She plaited her thick hair into two braids and wound them tight against her neck. She hadn’t even realized that Kai Sen had seen her hair unbound until now—something saved only for a husband. Skybright snorted, and had to suppress the hysterical laughter that was rising within her. What did it matter if he had seen her hair unbound when he had already seen her unclothed? She pressed a hand to her mouth and bit the flesh of her index finger to calm herself. Hurried footsteps and excited conversation carried to her from across the courtyard, and she ran to Zhen Ni’s quarters, pushing the panel aside without knocking. Stepping through the reception hall, she found her mistress hunched over on the platform bed, her hair in disarray. Lan had her arm wrapped around Zhen Ni and dabbed at her wet cheeks with an emerald handkerchief, a gesture both intimate and tender. Whispering soft words into Zhen Ni’s ear, Lan leaned closer till their faces were nearly touching. Her mistress uttered a strangled cry. “Worry me!” Zhen Ni pressed her hands beneath Skybright’s chin and lifted it. Her mistress’s hair had been haphazardly arranged that morning, and most of it had escaped in wild wisps around her face. She hadn’t bothered with any cosmetics or accessories. Zhen Ni allowed herself one more sob and snatched the handkerchief from Lan, blowing her nose noisily. The other girl folded her hands in her lap, eyes downcast. She sat with her thigh pressed against Zhen Ni’s, and Skybright felt a sharp pang of jealousy, that Lan felt so close and comfortable with her mistress in the short time they’d known each other. Distracted, she didn’t sense Zhen Ni’s wrath until she shook Skybright hard by the shoulders. She heard Lan’s retreating footsteps. Zhen Ni stroked Skybright’s hair and held her. Skybright clutched at her own tunic and leaned into her mistress, refusing to cry. Zhen Ni hadn’t put on any perfume that morning, she noticed. The jasmine would do for today, Skybright thought, once she had the chance to rearrange her mistress’s hair and pin the kingfisher hair sticks into her locks. The jasmine perfume would be perfect. Skybright drifted in and out of consciousness after Zhen Ni helped her into her own bed, plumping the cushions behind her as if she were the handmaid and Skybright her mistress. Unused to being fussed over, she tried to wave her mistress away and rise, only to be pushed back against the cushions. Skybright smiled weakly at that. Zhen Ni was used to getting her way. She leaned back and closed her eyes while her mistress sat beside her. “You like Lan,” Skybright said after a while. “Three times,” Zhen Ni said. “I’m sorry, Lady Yuan. I must have wandered off in my sleep.” Skybright stared at the silk sheet embroidered with chrysanthemums. “No, Lady. It isn’t that.” Skybright had a feeling that her monthly letting would never come. Zhen Ni gave her a hug before following her mother and Lan out into the courtyard. Skybright breathed a sigh of relief and sank into the cushions. “What happened, child?” Nanny Bai asked. What had once been a husky voice was now coarse with age. The same voice that used to sing her to sleep on rare occasions. Nanny Bai was the closest thing she ever had to a mother. “Am I that old?” Skybright asked without thinking. The older woman made a strange noise in her throat, catching Skybright’s attention. The lines around her old nursemaid’s eyes and along her mouth had deepened in these passing years, but her brown eyes were still as sharp as ever. She smelled of pungent herbs, as she always did—a rich, earthy bitterness. “What is it?” Skybright whispered. Skybright knew it was true. Her old nursemaid seemed to avoid it, often sending Skybright into the thickets to gather wild mushrooms and plants for her, never saying why she disliked entering its cool depths. Abandoned in the forest … left to die. Skybright’s tears finally came, held in since the previous night, when she had slithered her way back into the forest as a monstrosity—the same forest where she had been cast aside by a mother who didn’t care if she lived. Skybright rubbed her face, furious with herself for crying. What was the point of wasted tears? “You know how Lady Yuan always loves a gift well presented,” Nanny Bai said. Her old nursemaid shook her head in regret. “Nothing. It was clear you were a newborn babe. Although … ” Hesitant, Nanny Bai tugged at her tunic edge. “What?” Skybright’s hands tingled, as if in warning or anticipation. Skybright dozed through to the next morning after taking the bitter draught Nanny Bai offered her. Zhen Ni had refused to let her return to her own quarters. In the evening, Skybright was vaguely aware of her mistress slipping into the large bed beside her. She woke with a start before dawn, her forehead covered in sweat. Terrified, she kicked her legs beneath the thin sheet, feeling her toes and her knees. What would happen if she changed with her mistress beside her? Skybright’s throat closed at the thought. She heard Zhen Ni’s steady breathing, and slipped out of bed and into a courtyard dimly lit by starlight. When she had shifted, it was always at nighttime—she only wished she knew what triggered it, so she could anticipate it. Could she control it somehow? Will it away when it happened? Skybright sat on the stone bench beneath a peach tree, digging her toes into the earth and enjoying its coolness. The hairs on Skybright’s neck rose and sharp needles danced across her scalp. The word was carried on a soft summer breeze, barely audible. Her imagination, after the past week, was getting the better of her. Skybright leaped from the bench and whirled, turning in a circle, heart in her throat. That word had been as loud as a stone falling from the sky. “Who is it?” she said into the night. Another breeze rustled the leaves overhead, seeming to hold and then disperse a multitude of pleading voices. A single firefly materialized in front of her, hovering before her nose. It looped three times and flew a few steps ahead. She followed the insect, past the dark quarters, along winding stone paths. If she concentrated enough, Skybright thought she could hear the murmur of a hundred voices upon the wind. Finally, the firefly paused in front of the main gate into the manor, with its grand double doors. She unlatched the lock and pulled one door open. It groaned like a dragon disturbed in its sleep, and Skybright stepped across the threshold. The heavy door slammed shut by itself; an empty street greeted her. Their manor was not near the main road, but their street was broad enough for horses and carriages to travel through. Plum trees dotted the wide path, and she could see the neighbor’s red gate and main entrance across the way. The firefly had vanished, and Skybright stood with her head tilted, listening. Shadows darted around her, an icy wind. She clutched her bare arms with her hands. “Who are you?” she whispered into the night. The air stilled, then wavered. Images coalesced, and a group of people suddenly surrounded her. There were men and women, girls and boys, dressed in shabby clothing with dirt-smudged faces. She knew she should have been afraid, but instead, she was only curious. They gaped at her with mournful faces, but when she tried to look at one straight on, the spirit would melt into shadow again, absorbed by moonlight. So she observed them from the corners of her eyes. At least a hundred ghosts surrounded her, and they pressed closer as one, chilling the air. Beyond them, she sensed more spirits, too tired or weak to manifest their human forms. A chorus of voices echoed. I served Lady Pan for thirty years. I took care of the horses and dogs for the Jins. I was a cook for the Wang family until the kitchen fire took my life. I’m an orphan but kept my master company! The last voice was high-pitched and cheery, and Skybright glimpsed the shadow of a boy no more than eleven years near the front of the crowd. “What do you want from me?” she whispered. Their response was an uproar, lifting the loose hair from her head. She staggered back from the force of their sheer need. Tears sprang in her eyes because, inexplicably, she knew their loss, felt their wants and desires as if they were her own. The man who had spoken to her raised a blurry fist and snarled. The silence that followed was immediate and eerie, and her ears rang with it. “But the Ghost Festival hasn’t started yet,” she said. They were a few days from the middle of the seventh moon, when the gates of the underworld were supposed to open for the ghosts to visit the living. The Yuan manor was already beginning to prepare elaborate feasts in remembrance of ancestors, to pay respect and symbolically feed the dead. We escaped, followed, pushed through. Wanting. Hunger. Skybright’s skin crawled, fearful for the first time in this exchange with the dead. Us. See you. Are us. Their crackling chants shivered across her. “The only one … ” she repeated. The man grinned, though the flesh dissolved from his mouth and chin, exposing yellow, jagged teeth. He didn’t answer her question. Instead, the spirits hissed in delight, as if in acknowledgement of who she was—what she was. One of us, they had said. Could they see the monstrous side of her so easily? As easily as she could see them, she realized. They whirled until the pins fell from her hair, freeing her locks. Then, the air stilled, as sudden as when it erupted. 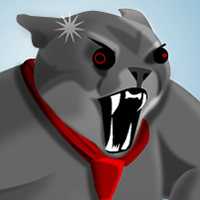 A cat yowled in terror in the distance. Something bounced against the cobblestone and rolled into her bare foot. Skybright stooped to pick it up. A copper coin, hundreds of years old, tinged green with age. Skybright hurried toward Zhen Ni’s quarters with the small coin clenched in her hand, and made it back right as the roosters began to crow. She almost bumped into her mistress when she entered the reception hall. The tall girl had a lavender silk robe drawn about her. “I was just coming to find you.” It was clear Zhen Ni was concerned, but she withheld her reprimand. Zhen Ni pulled her into her bedchamber, and Skybright lit the giant pearl lanterns in each corner. Skybright’s arms shook, and she did her best to steady them. “Are you feeling better?” Zhen Ni asked. In truth, she felt drained and wanted more than anything to crawl back into bed. Too much was happening to her at once, all inexplicable and strange. Instead she said, “I am. And you?” She had been a poor handmaid these past few days, and it was the only normal aspect of her life now, reassuring in its rituals and cadence. “Forever,” Zhen Ni said vehemently. Skybright’s mouth dropped, but she clamped it shut when her mistress shot her a challenging glare. Skybright stared at her fists. Her mistress sounded like a petulant child. There was nothing fair or unfair in the way things were. Was there any point in challenging them, when in the end, a girl such as Zhen Ni must accept her fate, no matter what? Just as Skybright must accept her own? Memories of herself in serpent form filled her mind—how alive she had felt. She shoved them aside. There was no place for that here. Zhen Ni’s cheeks colored, surprising Skybright. Zhen Ni folded her hands in her lap and Skybright saw how the flush in her cheeks enhanced her natural beauty. Her face was more rounded, like she’d gained some weight in these past weeks, softening her features. Her eyes shone as she watched Skybright plait her hair, and a faint smile lifted the corners of her generous mouth. Skybright ran a cursory glance of her own reflection, noted how her dark eyes appeared too large in her pale face, before concentrating on her mistress’s locks once more, Zhen Ni had turned into a woman as well, seemingly overnight. The realization struck Skybright with a pang of fear and regret. How long could they cling to their childhoods, ignoring the fact that they had become young women? She twisted tiny braids near the top of Zhen Ni’s head, weaving ruby flowers in them, before winding the small braids to join her single, thicker braid. The color of the dazzling stones reminded her of her serpent scales, and Skybright’s hands trembled as she clipped the final hairpin into her mistress’s hair. What would Zhen Ni think if she ever discovered the truth? How could she possibly care for her the same? Skybright would be cast out as the cursed monster that she was. Zhen Ni turned her head this way and that, admiring Skybright’s handiwork. She paused when she caught Skybright’s reflection in the mirror. Skybright helped Zhen Ni into her thin chemise and silk shorts, then dressed her in the luxurious turquoise tunic and skirt. She drew back when she was done, and her mistress stood in front of the mirror, smoothing the silk, making certain everything was in place and perfect. Skybright stopped by the kitchen before returning to her own quarters. Cook was busy preparing the morning meal and ignored her as she collected the items she needed in a woven basket. She changed quickly in her own bedchamber before pulling her small rosewood table outside. A narrow unused alley ran behind her bedchamber, along the perimeter of the manor’s high stone wall. Skybright pushed the table against it, then placed oranges and apples on a blue porcelain plate. Beside the fruit, she set down three bowls of rice and a bamboo and bean curd dish. Cook’s famous nut cakes were her last offering. She lit an incense stick and set a woven cover over the table. It was a humble offering, food that servants would be used to, except the fruit and nut cakes. Skybright bowed her head and said a prayer, wondering how this could possibly be enough for the hundreds of lost souls she had seen. The next two days, before Skybright would see Kai Sen again, passed agonizingly slow. She accompanied Zhen Ni and Lan throughout the day, sewing and embroidering, feeding the song birds in their gilded cages in the courtyards as well as the wild ones fluttering among the trees. On occasion, Skybright would hear the distant gong from the monastery, and she’d always turn her head in its direction, wondering what Kai Sen was doing in that moment. The girls lounged now on the covered balcony of the fish pond room. Skybright leaned over the wooden railing carved with ducks, contemplating the clear water below. The square pond was enclosed by high walls open to the sky, giving the young ladies sunlight yet allowing them their privacy. She couldn’t quite reach to trail her fingers through the water as she would have liked—it was a hot day in the seventh moon. Silver and gold fish darted below, and Skybright sang under her breath about lovers separated in the springtime. The lattice woodwork framing the top of the balcony threw sunlit geometric patterns against the walls, adding to the serene, dreamlike quality. Skybright turned her head toward the two girls, and froze. Zhen Ni was nestled at Lan’s feet, her legs tucked beneath her, leaning into Lan’s legs like a contented cat. Lan had unraveled Zhen Ni’s thick hair, and it fell across her shoulders past her waist, its jasmine perfume scenting the air. The girl ran a brush through her mistress’s locks, a dreamy look in her eyes. Skybright tried to choke down the knot that had risen in her throat. No one was allowed to arrange Zhen Ni’s hair except herself, not unless Skybright was ill.
“Do go on, Sky. But sing something happy. About lovers who are together, not apart and missing each other.” Zhen Ni draped an arm over Lan’s knees, a gesture that was both familiar and affectionate. Skybright felt as if she were missing something. As if Zhen Ni and Lan were playing a game that she hadn’t been invited to join. Lan was a shy and demure girl, the exact opposite of Zhen Ni. But her mistress seemed to coax Lan out, as only Zhen Ni could, eliciting rich bursts of laughter from her. As high in station as Skybright was and as close as she was to her mistress, she was still only a handmaid and didn’t feel comfortable chatting with Lan, befriending her. It wasn’t her place. Skybright lowered her chin and cleared her throat before singing again. This song was about lovers reunited, and the endurance of their love, as certain as the changing seasons. Her voice rose, sweet and strong, as she sang for the two girls. Skybright closed her eyes, and also sang for herself, to try and ease the inexplicable ache in her chest. So much had changed in so few days—Skybright wasn’t certain who she was any more. And Zhen Ni, the person who had always known her best, now knew Skybright very little at all. Nibbling on a taro rice ball without tasting it, she forced a smile for her mistress. Would she ever be normal again? Skybright rearranged the thin sheet on her bed numerous times then opened the lattice window to air out her stuffy bedchamber. She was supposed to meet Kai Sen tomorrow morning and had to think of an excuse to give to Zhen Ni so she could sneak away. Her heart beat faster at the thought of him, and she chided herself over such a pointless crush. A shadow obscured the moonlight that had filtered into her bedchamber, and a gust of wind stirred the crabapple trees outside. The night whispered to her. She stepped into the courtyard, not bothering to pull a robe on over her sleep clothes. Excited murmurs drifted from the back alley behind her chamber, and she padded toward the sound, barefoot. Skybright rounded the sharp corner and stopped abruptly. The narrow alley was jammed with spirits crowding close to the makeshift altar she had made for them. They glowed, some wavering like candle flames. She could push through their insubstantial forms if she wanted, but she stood there, stunned that so many ghosts had filled this confined space. The scent of sandalwood drifted to her. She had lit another incense stick before she had gone to bed. The tall ghost who had spoken to her hovered in front of the small table, directing each spirit as it took its turn. He saw her and nodded with a smile, his broad face morphing into a leering skull. The other spirits seemed to sense her with their leader’s acknowledgment. Thank you, miiiiistress some rice wine next time are there lychees lychees were my favorite. I miss them so. The voice rose and melded together with others until they were unintelligible to her. The spirits shimmered, then extinguished into darkness. Just then, a shape rose over the manor wall, crouched at the top. The person dangled, then dropped without sound to the ground below. The moon was still bright, even as it cast the back alley in shadows. Skybright dared not move, afraid this would catch the intruder’s attention. He was dressed in black and blended with the darkness. She caught a quick glimpse of a brow and cheekbone touched by moonlight. The intruder paused in front of the altar, examining it. Skybright held still, then made the smallest shift to her right, hoping to escape back around the corner. The hidden face whipped in her direction, and within two breaths, he had shoved his hands against her shoulders and pinned her to the wall. She opened her mouth to scream. 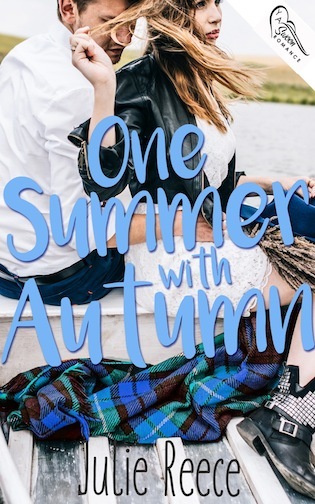 He clamped a palm over her lips and they stared at each other, eye to eye. Recognition dawned at the same time. “Goddess. Is it you, Skybright?” Kai Sen asked, dropping his hands from her. Her knees wobbled, and he caught her by the elbow. “I’m sorry,” he said. “I wasn’t expecting to see anyone.” She shivered from the feel of his palm against the back of her arm. “What’re you doing here?” he whispered. She could sense his surprise despite the darkness. 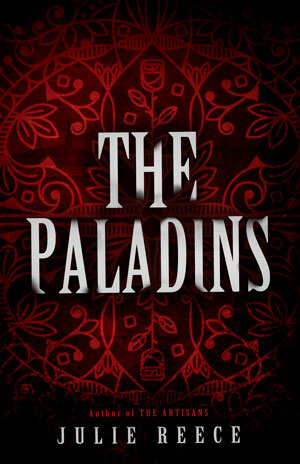 He released her and she leaned backward, propping herself against the wall, her heart racing. The spirits. Kai Sen had heard the ghosts. She glared at him, hoping he got the full effect, even in the shadowed alley. Kai Sen was the other one, she realized. “Skybright … ” He tugged her gently to him. “I never feel as if I can speak of my past with the other monks. Because of my birthmark. Because I’m different. But with you, I … ” He didn’t finish the thought, but instead leaned in and kissed her. It was like a jolt, quickening her pulse. His mouth was full, firm against her own. He smelled of camphor wood and sweat. Of boy. His tongue flicked across her lips and instinctively she opened her mouth to him. She gasped when their tongues met. Warmth pooled in her stomach and spread, till her entire body was roused. His hands had wound around her waist, sneaked under her sleep tunic so she could feel his rough palms against her midriff. They met at the small of her back and slid upward, till his fingers caressed her shoulder blades, and they were crushed against each other. They kissed until the blood roared in her ears and she felt drunk with desire. Then something ignited inside of her, that now familiar heat, writhing through and pulsing down her legs. Terrified, she shoved his shoulders hard, and he stumbled back, dazed. Skybright clutched her head between tight fists, willing the blazing heat away. Willing herself not to change. No. Not now. Not in front of Kai Sen. Her body shook with the effort, still trembling from the kiss they had shared. Terror constricted her chest. His thumb stroked her cheek, and she jerked away from him. “What was that?” She tried to catch her breath, and the words came unevenly. “I’ve always wondered what it was like, to kiss.” His voice sounded low and thick. The first handmaid he came across naked in the forest. Humiliation and anger wound tight within her, and she welcomed the emotions. Anything to smother the heat that threatened to rise below. He took a step back, and she hated him for obeying her. “Will you still meet me in the morning by the creek?” he asked. “Come and I’ll tell you.” He climbed up the manor wall with ease, although she didn’t know how he was able to find any purchase. Crouching low at the top, his dark eyes sought hers, before he said, “Don’t be angry, Skybright.” Kai Sen dropped noiselessly down onto the other side of the wall. “I like you.” She heard him say again. Then there was nothing more except for the soft murmurs of the evening. Cindy Pon is the author of Silver Phoenix (Greenwillow, 2009), which was named one of the Top Ten Fantasy and Science Fiction Books for Youth by the American Library Association’s Booklist, and one of 2009′s best Fantasy, Science Fiction and Horror by VOYA. The sequel to Silver Phoenix, titled Fury of the Phoenix, was released in April 2011. Serpentine, the first title in her next Xia duology, will be published by Month9Books in September 2015. She is the co-founder of Diversity in YA with Malinda Lo and on the advisory board of We Need Diverse Books. Cindy is also a Chinese brush painting student of over a decade. Visit her website at http://www.cindypon.com. Check out these amazing titles coming from Month9Books this Fall!. I’m in LOVE with the cover! Vicki L. Weavil is represented by Jennifer Mishler of The Literary Counsel. 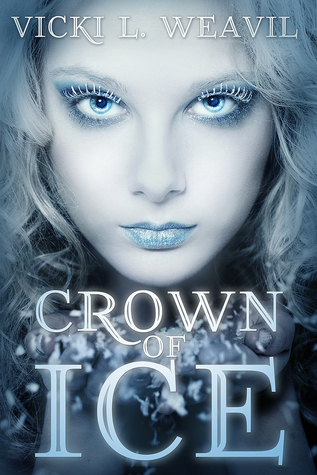 Her Young Adult Fantasy, CROWN OF ICE — a dark YA retelling of H.C. Andersen’s “The Snow Queen” — is published by Month9Books. Her YA SciFi — FACSIMILE — will be published by Month9Books in 2016, with a sequel to follow. She also writes adult Sci-Fi.